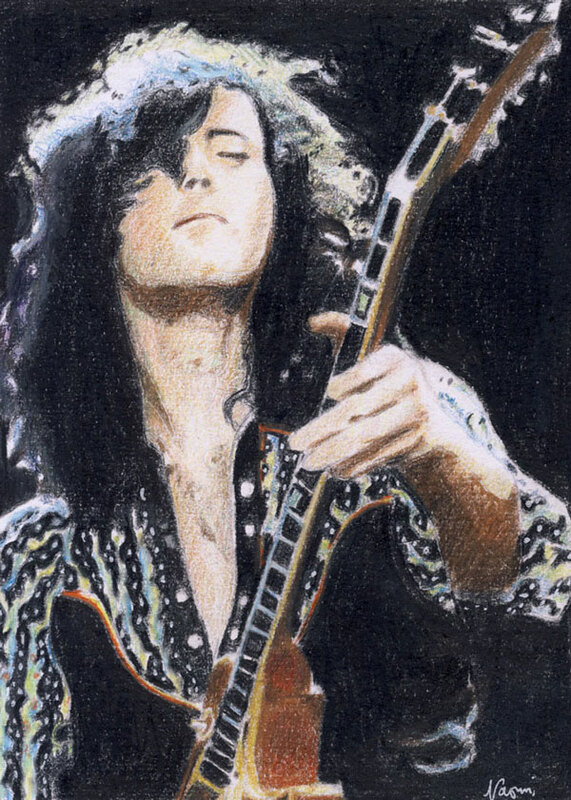 My daughter’s friend on Facebook requested her to draw Jimmy Page. I don’t know anything about Jimmy Page until I read about him on wiki. James Patrick “Jimmy” Page, is a musician. He is an English guitarist, songwriter, and record producer. It’s surprising for a young girl like my daughter’s friend to admire a popular heavy metal rock band. Jimmy Page founded Led Zeppelin, the English rock band that popularized “Stairway to Heaven” in 1970s. Page began his career as a studio session guitarist in London. And for sure he must have used several types of guitars, including axl guitars in his entire singing career. This entry was posted in Artwork, Music and tagged jimmy page, led zeppelin on October 17, 2015 by Yami. Great job on the portrait. Jimmy is one of the greatest guitar players of all time.